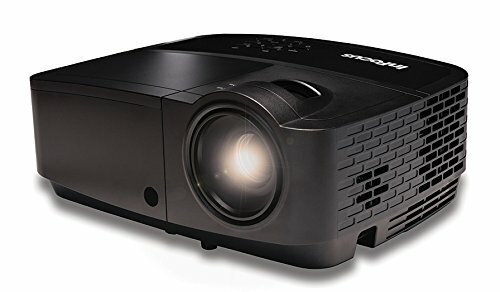 The ScreenPlay SP1080 is the most affordable projector for the home InFocus has ever offered. Whether you're screening a blockbuster, hosting a football party, or facing off in a cutting-edge video game, everything comes to life in larger-than-life HD with the SP1080 home projector. Plus, its compact design and light weight make it easy to move from room-to-room. With an affordable purchase price and a lamp that lasts up to 10,000 hours, the SP1080 is an unbeatable value. InFocus and the InFocus logo are registered trademarks of InFocus Corporation.